With all of the creep factor, tension and detail of a Hitchcock story — and a twist worthy of Rod Serling — “Desolation” delivers! Before I launch into a review about the Alfred Hitchcock Presents style disturbing-ride that is Desolation, I want to remind you, good reader, that I am a filmmaker and writer myself — and I tend to go into reviews with just as harsh of an eye as I use to evaluate my own work. 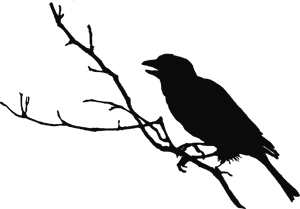 In doing so, I hope to bring a unique perspective on the films I review for both our audience and the filmmaker. Sometimes, that may come out as a little bit of tough love that even makes my editor squirm! However, when it comes to this little twisted gem directed by David Moscow and written by Craig Walendziak and Matthew McCarty, the only ones who need to worry about squirming is the audience! Katie (Dominik García-Lorido, City Island) works in a small-town hotel when she meets heartthrob actor Jay (Brock Kelly, Pitch Perfect). Jay charms Katie, brings her to L.A., where their relationship begins to blossom. When Jay gets a movie role and has to leave town, Katie awaits his return. That’s when everything begins to unravel. Katie is robbed, her keys and wallet taken. When she reports it, the police question and then attack her. Terrified, with no money, and stuck in L.A., she keeps calling her friend back home — but she just gets a “wrong number.” Frantically, she calls Jay looking for answers. When Katie’s hometown newspaper is delivered to her in L.A., it includes her obituary, and she realizes with certainty that there is some greater evil at play. 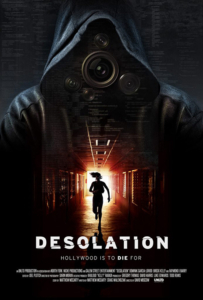 Desolation starts a bit slow, and maybe even fairly typical for a horror/thriller. However, it is anything but typical! If there are any doubts to the intensity of the film, those doubts are washed away in the opening sequence when a broken young woman apparently burns herself alive to the mixed sounds of her crying and pleading for someone to stop smiling. From that moment, the hook is set, and Moscow and his talented actors only need to keep gently tugging to reel the viewer in over the next 90 minutes. There are so many levels at play in the film, and with each character, that am reticent to delve into for fear of spoiling the ride. You may suspect anyone or any number of things to be happening throughout the film. Whatever you suspect, you’ll be kept on the edge of your seat guessing the whole time. And that is a credit to the multi-layered characters and overall unsettling tone in the film that keeps you off balance. The added element of dark voyeurism is like some creepy reverse of the situation in Hitchock’s ‘Rear Window’, but it is used to the benefit of the story and not as a crutch. The acting is top notch with Kelly, Barry and Garcia-Lorido carrying the film. I give director David Moscow the credit for keeping the idea contained and intense, which allowed the budget for quality actors and actresses who were at the top of their game throughout. While the pace may be too slow for some, it is perfect for this film and for the mood being created. The film draws you in with its oppressive and uncomfortable tone — and it always gives you the feeling that something is just “off” with everything and everybody, even though you can’t quite put your finger on what it is. 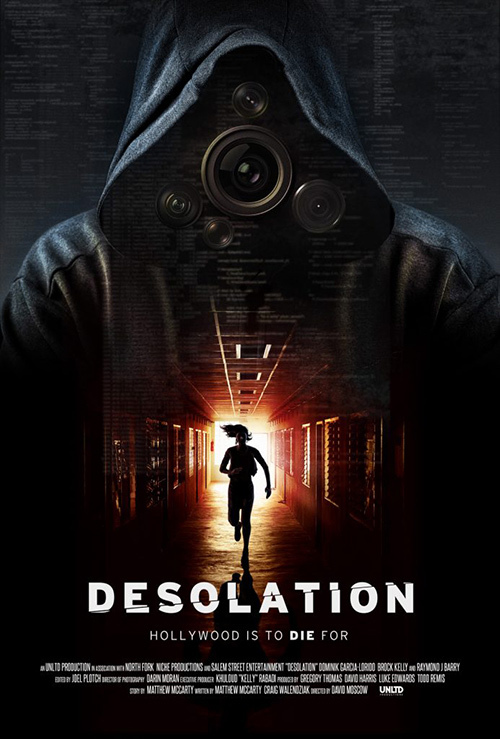 Playing out like a feature length, especially dark episode of ‘The Twilight Zone’ (a comparison this filmmaker doesn’t throw out easily), the last half of ‘Desolation’ has you on the edge of your seat trying to figure out the twist you know is coming…but you can’t wait for! If you are in LA or New York on January 26th, and you’re ready for a slow and intense thrill ride, then head out to the theater with a friend (or several)…because that is when you can catch this one before a soon to follow national release. 4.5 outta 5 Cowboy Hats!